To All The Boys I've Loved Before - Movie Adaptation! (Featuring lots of pictures from the set) If you didn't know this already (have you been living under a rock? xD) To All The Boys I've Loved Before by Jenny Han is getting adapted into a movie! I could totally see this series as a movie while reading the books and I'm so happy that it's actually becoming one. There have been a lot of news about this lately, mainly on Jenny Han's Twitter account, so go follow that for more information and more recent updates. Some fans had a problem with the fact that Lara Jean is half-korean while the actress who plays Lara Jean is Vietnamese-American. Jenny Han wrote a small letter addressing that which you can read here. My only complaint with the cast so far, though, is that I don't really see the actor who's been cast as Peter do to a good job playing the Peter I read about in the books. Synopsis: It's the 1960s and Amir is a motherless child of a wealthy Kabul merchant. He is also a Pashtun, the ruling social caste of Afghanistan. Amir grew up with his servant, Hassan, who is a Hazara - the abused, impoverished and despised caste. Even though Hassan is Amir's constant companion, Amir sometimes treats him badly. But who cares, right? He's only a Hazara. One day, though, Amir betrays his loyal servant by turning on him when he needs him the most. Amir knows that he should've helped his companion, but instead he ran away like a coward, and as his guilt builds, the mere sight of Hassan becomes painful. Amir betrays him once again, forcing him and his crippled father from their family home. I read 10 books during this week but the annyoing thing is that I only managed to get 6/7 of the challenges... I read most of the books that were on my TBR for the week, but I changed quite a few books on my TBR like I said I probably wood. For example I didn't read You Know Me Well by Nina Lacour and David Levithan. I also didn't finish A Thousand Nights by E.K Johnston, although I did start that one. 9. Lumberjanes Vol. 1 by Noelle Stevenson, Grace Ellis, Shannon Watters, Maarta Laiho & Brooke A. Allen. 10. Lumberjanes Vol. 2 by Noelle Stevenson, Grace Ellis, Shannon Watters, Maarta Laiho & Brooke A. Allen. So, anyway, if you already know what the booktube-a-thon is, or if you've watched the video, here is my TBR for the 7 challenges of booktube-a-thon :) Disclaimer: I might not be able to read all of these, or I might change my mind in the middle of the read-a-thon, but for now these are the book I want to read by then. 5. Library of Souls by Ransom Riggs + two thirds of The Kite Runner by Khaled Hosseini Comment: I usually read around 5 books per month if I'm not busy, so I'd say it's acceptable. Number of reviewed books: 1 (link here). Number of read pages: 1812 Comment: Pretty good, since it's closer to 2000 pages. Today I'm taking on yet another tag :) This time, since it's basically the middle of the year, it's going to be the mid-year book freak out tag. I saw this on jessethereaders booktube, but it was created by Chami from ReadLikeWildFire and Ely from Earl Grey Books. 1. Best book you’ve read so far in 2017. I've read a lot of good books so far this year, but I think I'll have to go with It Ends With Us by Colleen Hoover or Red Queen by Victoria Aveyard. Both of these books just left me wanting more, or feeling multiple feelings. Since Isla and The Happily Ever After doesn't really count as a sequel, I have only read one other sequel - Library of Souls by Ransom Riggs, so I'll have to go with that. There are a lot, but three of those are When Dimple Met Rishi by Sandhya Menon, One of Us is Lying by Karen McManus and We Are Okay by Nina LaCour. 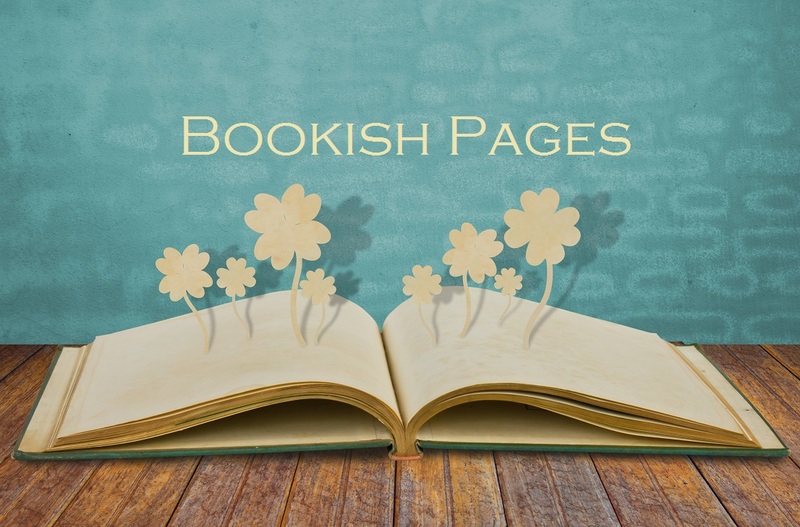 This bookblog is run by a nerdy geek who loves reading and just wants to share the magic of books with others :) Other things I enjoy include food, movies, music and poetry!